its a good deal if you have the money to experiment with...you can always re-sell them if you dont like them....ill try to do a fast photo shop job for you, so you can see what they would kinda look like. here it is!!! I think they look good, and for 150 you cant go wrong!!! 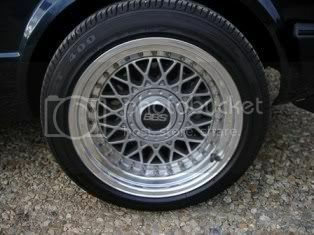 Those vintage CRX Si wheels look great!! for $150. w. tires that's a great deal! I think it looks kind of funny. The PS is sloppy though so it's hard to tell what it would REALLY look like. Can we get a better PhotoShop? Let the guy know that you're interested and to please hold them. sorry for the sloppy photo shop, i have only had it for about 2 weeks. Im still learing!